Maybe because they live in the neighbourly shadow of the chic French, but Spanish designers really are the dark horse of the European children’s fashion scene. When I think Spain, the tourist in me thinks of the exuberant, dramatic ruffles of a flamenco dancer, and then minimalist, gorgeous quality designers like Tiny Cottons come out of left field and totally impress me. Tiny Cottons is in good design company. We’ve written about a few Spanish brands like Pili Carrera, favoured by little royals, and Motoreta, Seville’s super edgy, minimalist label. Like its cousin from Seville, Tiny Cottons is sparing with colour – the current collection blends basic white with muted forest green, mustard, grey and hints of baby blue. A quirky print of people with house plants for heads peppers a collection that’s otherwise printed with vertical and horizontal stripes or wide, narrow-lined checks. Tiny Cottons does gorgeous tees, easy dresses and shorts, but I’m a sucker for babies in leggings and this designer has quite the selection. There are plenty of lightweight leggings in simple prints and then there are my favourite, the cotton knit leggings with crosses on the knees (€45). Pop on a grey marle pair with green crosses with an oversized khaki wind cheater (€67) and your child will be the most stylish, most comfortable kid at the playground this autumn. 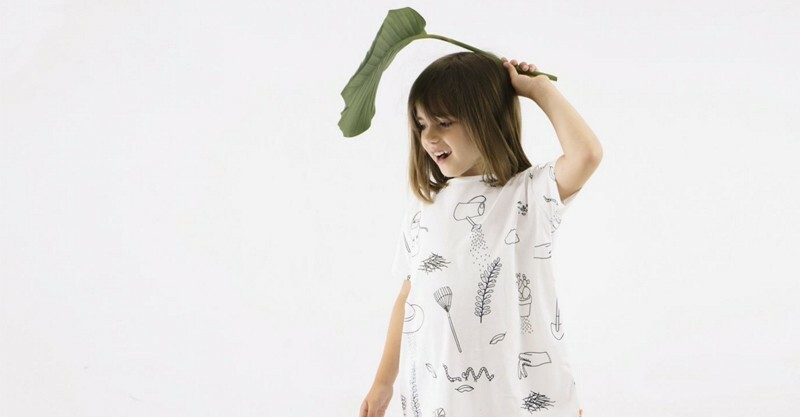 We love Tiny Cottons’ completely unfussy designs. 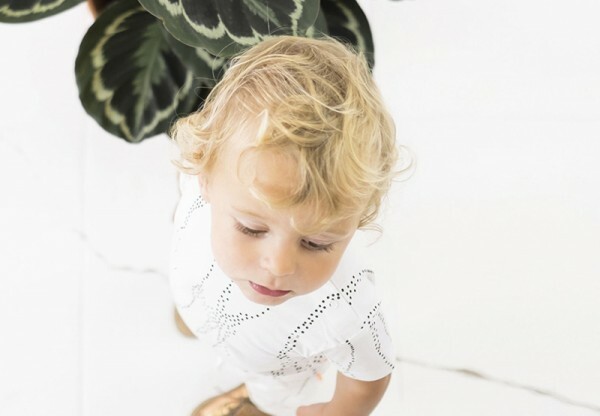 There’s a time and a place for ruffles and florals and crazy fluoro prints, but sometimes you want something a little subdued so that your child can shine through. Tiny Cottons’ collection is available on the website, and shipping to Australia is €16.